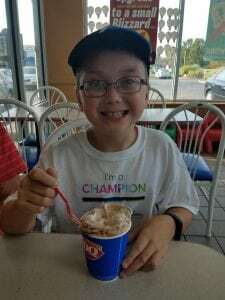 Dairy Queen locations share Miracle Treat Day with Cincinnati Children’s Champions! – Dairy Queen Corp. 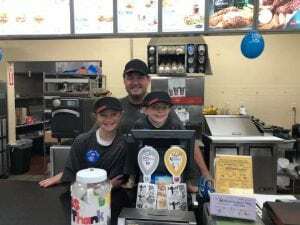 Dairy Queen locations share Miracle Treat Day with Cincinnati Children’s Champions! Thank you to local Dairy Queen locations who donated proceeds from last Thursday’s Blizzard sales to Children’s Miracle Network Hospitals in support of Cincinnati Children’s. Locations welcomed Champions as “Celebrity Blizzard Makers” to help hand out blizzards and represent the many families Cincinnati Children’s takes care of each year. Dairy Queen has been a CMN Hospitals partner for 34 years and has raised over $130 million dollars for local hospitals. Previous post: South Dakota Dairy Queen's crush Miracle Treat Day, again!